Are you shopping for a Honda near Sebastian? Let Vatland Honda be your guide! We have a large selection of new vehicles in stock including all the popular models like the Honda CR-V and the Honda Civic. Explore our Honda inventory below and when you’re ready, come to Vatland Honda to pick up your new car! 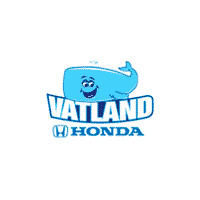 Why Choose a New Honda from Vatland Honda? Contact our sales team today to find out more about which make and model is right for your needs and budget. Then, come to Vatland Honda for a test drive!